There has been an increasing trend over the last decade for local authorities to meet their employment and housing needs through the identification and allocation of large “urban extensions” to existing towns and cities. 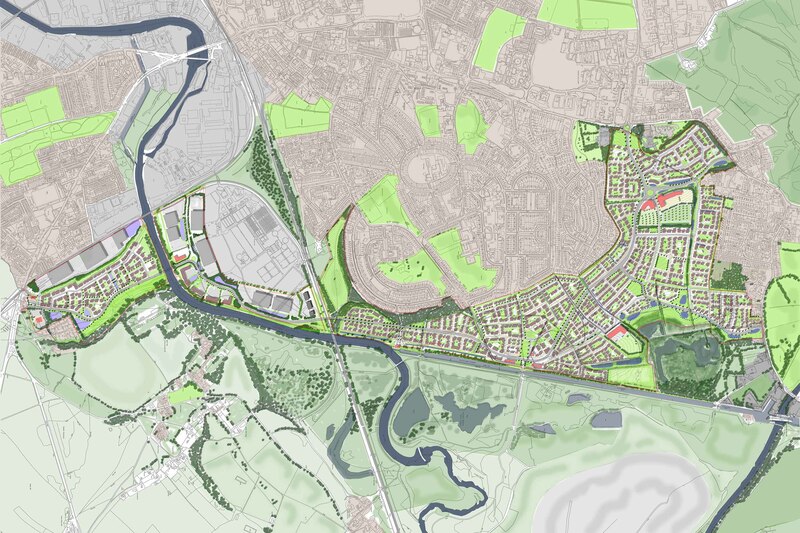 The scale of these schemes will often require the forward planning of large scale infrastructure and utilities, community services such as schools and health care, and a wide range of leisure and retail facilities – all of which will require a robust, technically informed masterplan. Urban extensions will normally form a major component of a local authority’s Local plan for the next 10 to 15 years and consequently particular attention will be given by both local authorities and inspectors to the site’s availability and the schemes overall viability and achievability. Our masterplanning team have now worked on urban extensions worth over £4 Billion and are now recognised as the leading practice in the Yorkshire Region that specialise is these types of scheme.